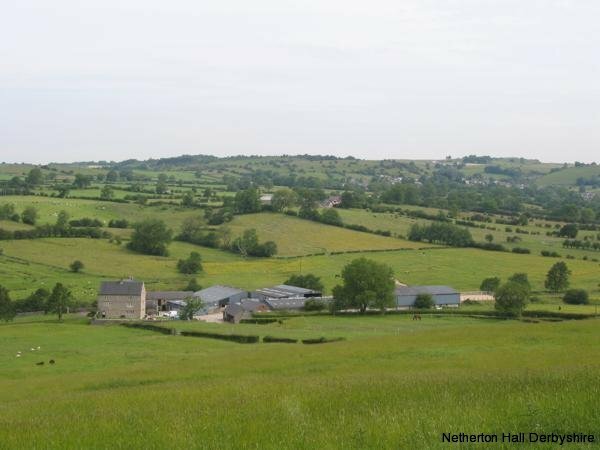 Netherton Hall has 195 acres of beautiful grass land sweeping across and down into the valley with gorse and heather and wetland grasses down towards the streams. We have several different ages of ridge and furrow over the grassland divided by mature hedges and along with all the usual crew of horses, dogs and sheep we have a few very special inhabitants. Some of our land is in the process of being designated as a Site of Special Scientific Interest to protect some very rare flowers and grasses whose habitat is becoming threatened in this age of modern farming. A recent survey commissioned by the environment agency found native White Clawed Cray Fish or Atlantic Stream Cray fish in some of our streams and water habitats. They can grow up to 12 cm long and live in very clean water habitats. They have suffered drastic losses in numbers in recent years and are becoming quite rare. There have also been sightings on our land, and around the Brassington and Carsington area, of Red Kite, Kingfisher and recently a Little Egret. We often see Buzzards, Herons, Tawney Owls and occassionally Barn Owls as well as many other birds. Carsington Bird Club keeps monthly records of sightings of birds in the area. We like to think it is peaceful and tranquil but when you look closely there is an awful lot going on out there!